Sport utility vehicles used to be rather expensive to insure. Most of the earlier models were designed with an appeal toward the outdoor crowd, had few safety features installed, and were not particularly easy to control at high speeds. They were built on truck platforms and were heavy and inefficient. The recent explosion of crossover SUV models in the past decade has resulted in attention to family-friendliness, better handling, smoother ride, and 21st century safety devices. Larger vehicles tend to provide better protection for driver and passengers in the event of a collision or rollover accident. Today’s SUV and crossover models combine a sturdy frame with a comfortable, safe interior. Recent studies by independent research groups conclude that SUVs generally rank high in terms of passenger safety. Insurance providers took their time investigating the overall safety of crossover vehicles, especially the compact SUV models. As the segment evolved and more of these vehicles became safer to drive, insurance rates began to become more favorable. Another reason premiums began to show a marked decline was because a greater percentage of SUV owners were responsible drivers. Insurance providers calculate their rates for car insurance based on driver information as well as the type of vehicle being operated. Since a large portion of the responsible driver category now owns an SUV or crossover vehicle, accident frequency has decreased to some degree. The following 2012 SUV/crossover models are considered to be among the least expensive to insure. The figures given are based on vehicle owners with good driving records, who commute less than 15 miles to work, and who maintain an average or better credit score. With the exception of the Ford Escape, all of the models below are also among the safest SUVs of 2012. Both the Ford Escape XLS and XLT models rank very high in overall safety tests. These vehicles come with a standard safety package that includes a tire pressure monitoring system, LATCH system for child seats, side-intrusion door beams, and a full set of airbags. According to insure.com study, the annual insurance costs for the 2012 Ford Escape was $1,140. The 2012 Sportage is equipped with dual-stage front airbags, front seat-mounted airbags, and full-length side-curtain airbags. The vehicle comes with active front seat head restraints and 3-point seat belts with pretensioners. 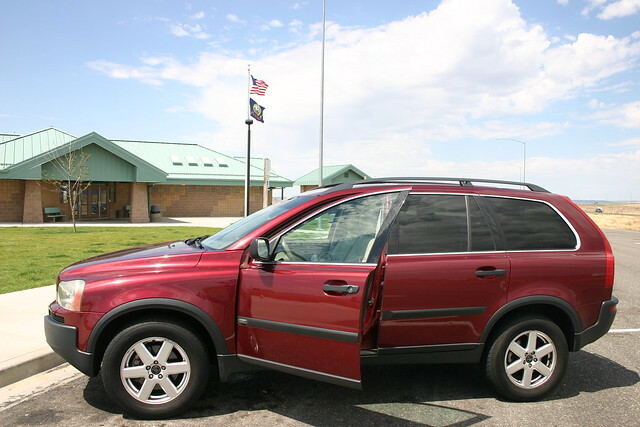 Side-impact door beams and electronic brake force distribution adds to the safety of this SUV. 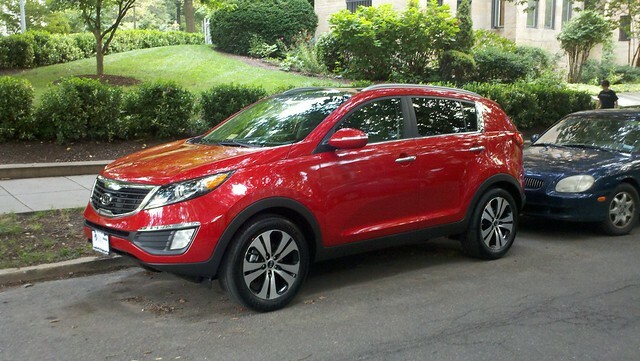 Insurance costs for the 2012 Kia Sportage average about $1,150 per year. This model has repeatedly earned a Top Safety Pick award from the IIHS. The 2012 Santa Fe GLS contains all of the safety features found on the uplevel trims. These include brake assist, traction control system, a total of six airbags, roof-mounted 3-point seat belts, front and rear crumple zones, rear seat head restraints, and a collapsible steering column. The average cost to insure the GLS trim is $1,150 per year. The Jeep Patriot is available with optional torso airbags in addition to the standard airbags for driver and front passenger, side-curtain airbags for both the front and rear seating positions, and the advanced crush zone engineering. The vehicle is built with a high-strength, rolled-formed steel crossbeam to help dissipate energy from a side impact. The 2012 Patriot also incorporates a steel cage structure design and front crumple zone into the construction. Buyers should note that side torso airbags are optional in the Patriot. Jeep was once considered a maker of high-risk vehicles. The 2012 Patriot with its car-like ride and all optional safety features actually costs less to insure than most sports cars. The typical 2012 Jeep Patriot owner pay approximately $1,115 per year for full liability and collision coverage. The Patriot was also one of the cheapest new SUVs on the market. This article was provided by Kanetix.com, where you can use the Kanetix comparison service to find low insurance rates for your SUV or crossover model.